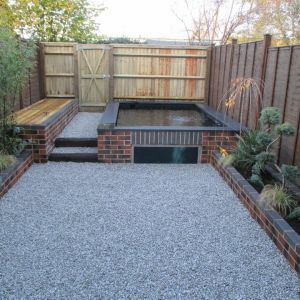 We specialise in and are vastly experienced in koi pond construction. 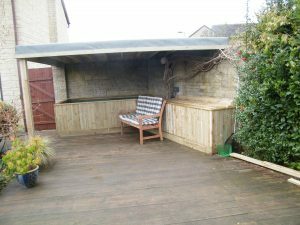 We are situated near Burford, Oxfordshire but we cover the whole of the Oxfordshire, Swindon, Abingdon and Cheltenham. We are able to build a variety of different koi ponds with different options on filtration etc. Our specialist knowledge of filtration allows us to pair the pond with the correct type of filter to ensure crystal clear water. 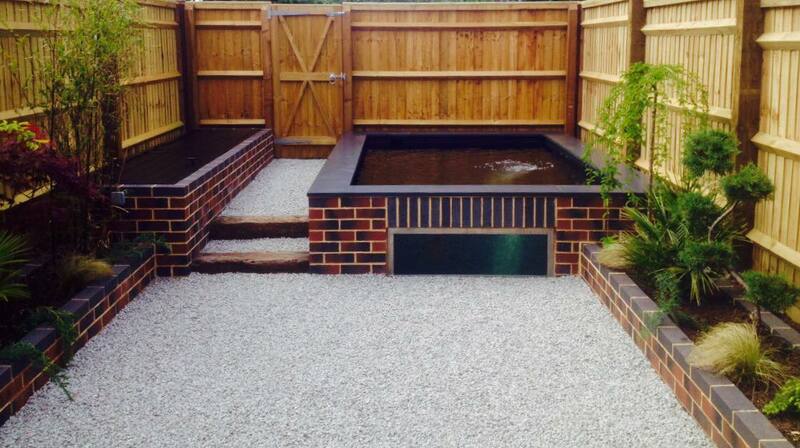 We treat every project individually creating the perfect koi pond for each client. 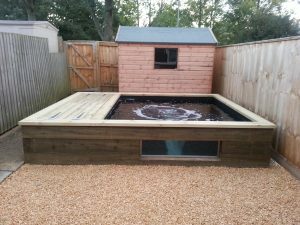 We are able to offer different material options to use to waterproof your koi pond. 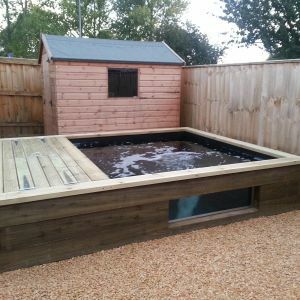 We fit rubberised pond liners, custom bespoke pond liners, pond paint and fibreglassing. 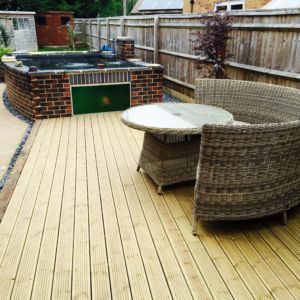 Our design and consultation service is renowned by many architectural landscapers. 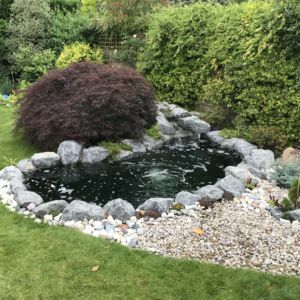 Whatever your style of pond, our knowledge ranges from building new ponds and restoration or modernisation existing ponds to investigating leaks and resealing. Koi Ponds (both Raised or Sunken). 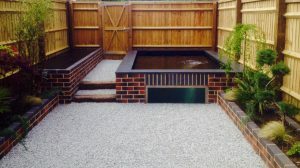 Brick or Natural Stone Ponds. 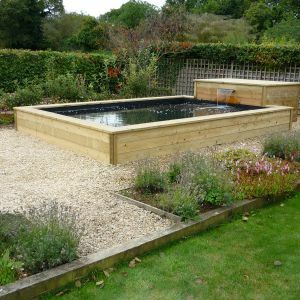 As well as these examples we can build ponds to your own specification from bespoke designs to lakes. 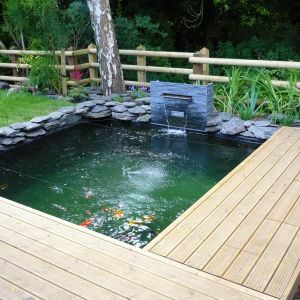 From existing projects to new ones, Cotswold Koi can meet your needs and are always only a phone call away with any questions you may have about your pond construction. What type of fish you may wish to keep. 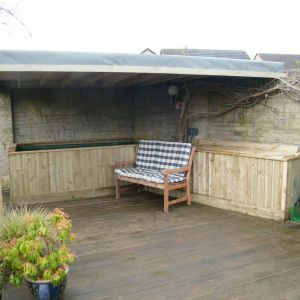 We will work closely with you to make sure that you get the pond you want. We love new and interesting ideas, so the sky’s the limit! You will then be presented with a scaled design of the proposed project and a final cost for the work, to make sure that you have the full picture before deciding to proceed with the project. We will then begin to build you your dream pond.